Up and at ’em, forex brothas! Check out AUD/CAD and EUR/AUD’s daily time frames and see if you can bag pips off of these setups! First up is a nice and simple retracement trade on AUD/CAD. The bears looks like they’re doing a good job of defending the .9700 major psychological handle that served as support from a couple of months back. If the bears get their momentum, then we could see a retest of the previous support near .9450 or .9150. 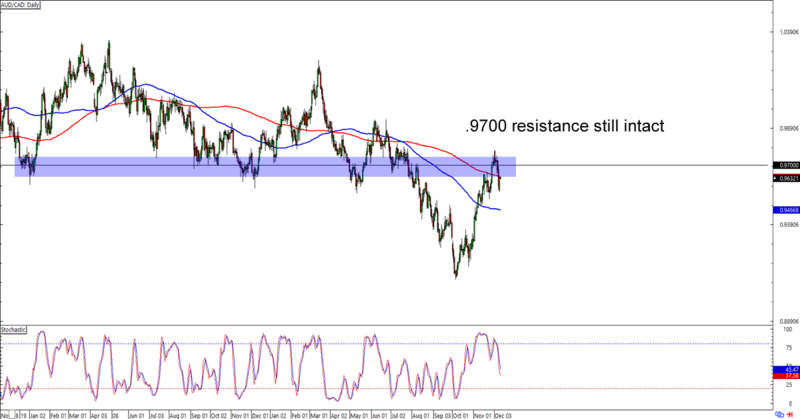 If the bulls decide to attack, however, then AUD/CAD could retest the .9700 resistance and even hit the .9800 and .9900 areas of interest. Which way do you think the pair will go? Whichever bias you choose to trade, remember that currency crosses like these tend to see higher volatility than the majors, so y’all better use wide stops! Remember that range support action that we spotted a couple of days back? Well, it looks like the bulls paid attention! EUR/AUD is now trading near the 1.5800 major psychological handle, which also marks the mid-range resistance on the daily time frame. What makes the setup more interesting is that stochastic is currently flashing an overbought signal. 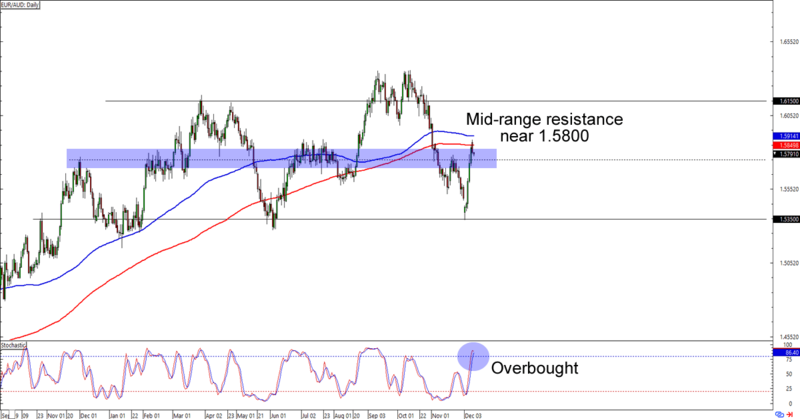 Will the bears drag EUR/AUD back down to the 1.5350 range support? Or will the bulls extend their momentum and push it back up to 1.6150? Watch this one closely and see if you can make pips from this range!